As a homeowner, you should regularly monitor the potential for termite infestations in and around your home. The professionals at Arizona Termite Specialists are your best resource for termite management and control. It is critical to detect and address termite infestations early, as well as continuously inspect and monitor your home’s termite protection for termite control effectiveness. 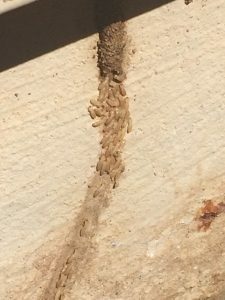 The team here at Arizona Termite Specialists has expertise in identifying the signs of termite activity, and we use a proactive approach to termites. We focus on changes you can make around your home to reduce the risk of a termite infestation using the least amount of targeted treatment materials required to prevent and control termite infestations. 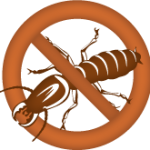 A number of treatment options are available to address termite infestations. Each home is unique so treatment should be customized accordingly. After considering your home’s specific construction elements and termite species, Arizona Termite Specialists will develop an appropriate and effective termite treatment plan for your home. We are often asked why we do not do general pest control. 95% of companies are pest control oriented. General pest control companies may be at your home every few months giving them the opportunity to sell you other services. This is a very profitable business plan but it is unlikely that they have the up-to-date training needed on all the different aspects of pest control. Many pest control companies are applying the same products for bugs and termites alike. Although their products may be labeled for termites they are not very effective at eliminating them. At ATS we only use Termidor®, the nation’s leading termiticide. Termidor is the only product in our tank so you can be 100% sure that you are receiving the best termite control product. Other companies may offer Termidor but use the same tank they use with other products, diluting the Termidor and making it less effective. This is a major issue in our industry and homeowners are the ones who suffer the consequences. Termites cause more damage worldwide then fires and floods combined, an estimated 11 billion dollars per year. Here in Arizona we have two major species of termites. The most common is the subterranean termite. Subterranean termites live underground, only exposing themselves during their swarming season. These termites are blind and on their constant search for food they inevitably bump into our homes. When they tunnel up the foundation of our homes they build a shelter tube to protect themselves from weather and other insects. This mud tube is a main indicator that your home has been infested with termites. Subterranean termites consume wood and take it back to the colony; they must re-enter the soil within a 24-hour period. They are not able to live and stay within the walls. Therefore our treatment will be to the soil on the outside and foundation of the home. We will trench and treat the soil along the foundation walls to create a continuous treatment zone. We will also drill or inject the expansion joints on the patios and garage. When termites are found inside, we may need to pull back carpet or in some cases even drill the grout lines of tile. Other methods involve foaming of wall voids around plumbing areas. 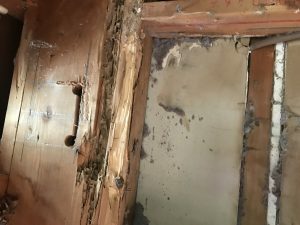 Drywood termites are also a problem in Arizona. Unlike subterranean termites drywood termites live within the wood itself. They do not need to contact the soil to gain moisture to survive, instead targeting wood with a high moisture content. This type of termite is found in the older historic parts of our state. Large oak trees or flood irrigation properties tend to have this type of termite. If a home is heavily infested, this is when you may need to fumigate the entire house. We do not fumigate homes, however most of the time you can inject the wood and eliminate the colony. Injecting the wood with Termidor allows the termites to once again transfer that chemical throughout the colony. The drywood termite is bigger than the subterranean termite but it lacks in colony size. 1) Never rely on a company giving you a firm price over the phone. Every home is different and must be inspected to find all evidence of termite activity. 2) Make sure they inspect the exterior and interior of your home. Only inspecting the exterior can lead to a missed interior area of termites, creating ongoing problems and frustrations. A high-quality inspection should include inspecting the perimeter of the home and all interior walls, closets, under bathtubs and sinks. 3) A high-quality flashlight is a must so inspectors are able to spot little pin holes from subterranean termites. When a termite is in the wall it can pop through the wall and patch that hole with mud. This hole, about the size of a thumbtack hole, can easily be missed by an untrained eye. 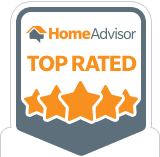 We have inspected thousands of homes and the majority of the time we find areas that other companies have missed. ATS will also notify you of any areas that are conducive to termite infestation. Such as wood-to-earth contact, faulty grading, and moisture issues. After you have other inspections call us, we guarantee you will see a difference. professionals and can catch the little things other inspectors miss. There is nothing worse than having a client call you a few months after purchasing a home with termites. We understand this does happen and we will be there to help protect you and put your clients’ minds at ease. All of our inspections are done with a tablet on site and emailed directly to all parties at the end of the inspection. If termites are found we will also provide a competitive estimate using only Termidor HE. 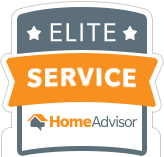 With over 18 years of experience and thousands of homes inspected we provide the best inspection in the business. If you have tough questions from your clients regarding termites feel free to have them call us. We can reassure your client that if they love their home, they can count on us to control the termite problem. You can also learn about our termite control services for rental properties and property managers. Termites are smart enough to stay well away from anything as deadly as Termidor. However, Termidor is a new technology liquid called a non-repellent or undetectable. That means termites cannot see, smell, taste or avoid it. Instead, they contact, ingest and share Termidor completely unaware that doing so will inevitably kill them. Termidor’s unique “transfer effect” elevates its effectiveness to a whole new level. Whenever a termite ingests or touches Termidor, it becomes a carrier transferring Termidor to every other termite it comes in contact with. These termites, in turn, become secondary carriers transferring Termidor to every termite they contact and so on throughout the colony. This unique, spiraling process is called the “transfer effect” and it helps Termidor deliver devastating results that are unmatched by any other product with 100 percent control in three months or less. 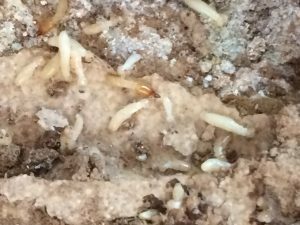 Arizona Termite Specialists uses Termidor HE as their only termiticide. America’s number one termite defense is now better than ever with Termidor HE. State-of-the-art molecular technology dramatically improves the transport of the Termidor HE active ingredient into the soil, creating an enhanced protection zone. Termidor HE locks the soil around your home where it stays put and stays effective. This technology allows us to use half of the water required by other products yet still be 100 percent effective. This ensures a more precise application of Termidor around your home with reduced destruction, digging, and drilling. At ATS we feel that the benefits and effectiveness of Termidor HE are the best option for any homeowner. The reduction in water use, fuel use, and vehicle exhaust emission can really add up when you consider the nearly one million applications are performed each year. We are pleased to use a product that allows us to leave a smaller environmental footprint around your home. If you’re ready to get started with termite inspection, control, and extermination services, get in touch with an ATS representative for an appointment. Also, feel free to browse through reviews of our termite control services, or if you’re curious about termites and termite control, take a look at our frequently asked questions page.